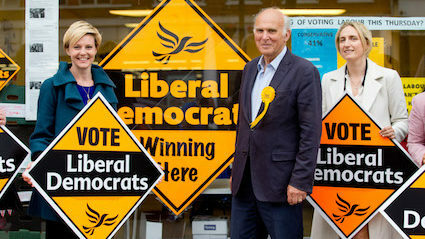 UK voters desperately want a pro-European party with sensible centrist policies, according to people determined to ignore the existence of the Lib Dems. Millions of voters confirmed they would back a party opposed to both Brexit and extremism while pretending he had never heard of Vince Cable. Tom Booker, from Stevenage, said: “There’s a huge appetite for an alternative to either Labour or the Tories, a third party that can capture those voters crying out for moderation. “A party that offers a clear alternative on Brexit, such as the promise of a second referendum, would be guaranteed to capture at least 48 per cent of the vote nationally. That’s simply fact. THE Bank of England has vowed that £5 and £10 notes will continue to be the animal fat-packed extra-crispy flavourful savoury treats that Britain loves. Despite complaints from vegetarians, the Bank has promised to continue making new banknotes out of edible polymers and mouth-watering animal fats, triple-cooked and served fresh and delicious. Chairman Mark ‘Canada Style’ Carney said: “Our targets are to keep inflation under two per cent, monitor the UK’s debt burden and to keep sterling mouth-wateringly tasty. 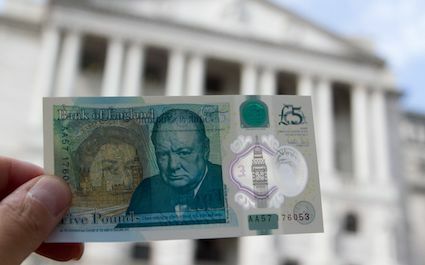 “Our Jane Austen tenner is a gastronomic experience every Briton should treat themselves to – try it with the Cajun salt – and the Churchill fiver remains the patriotic portion everyone can afford. “We pride ourselves on making the most delectable cash in Europe, if not the world. Post-Brexit our currency should be backed against dry-cured bacon instead of gold. Wayne Hayes of Swindon said: “I’m not ashamed to say I’ve eaten my fair share of fivers.